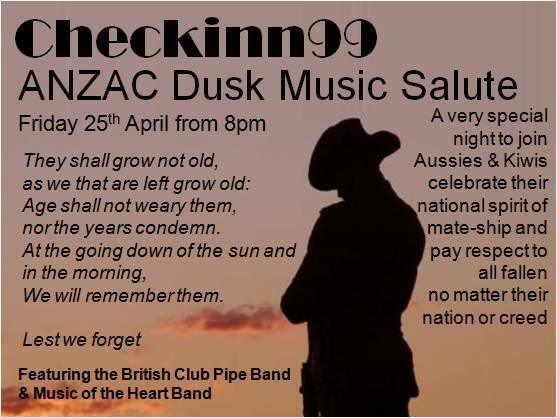 In two days a special day at a special place: Anzac Dusk Music Salute. I fell in love with the country of Australia on my first visit in 1986. I’ve visited there a total of six times now. 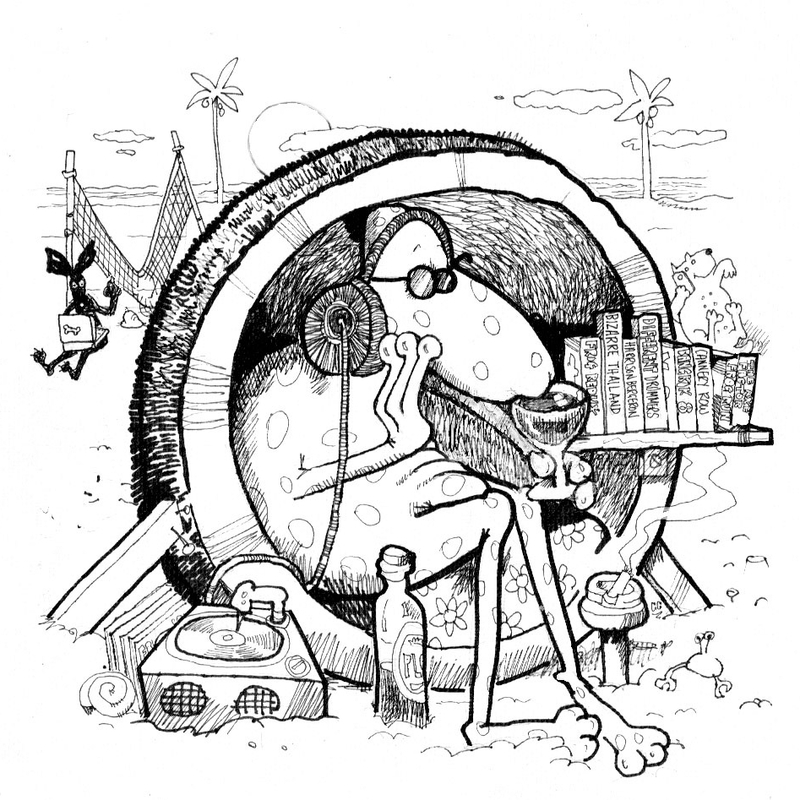 The national spirit of mate-ship is not an advertising campaign. It is real. As is the Anzac Spirit. If you are an Australian or New Zealander living in Bangkok and would like to pay your respects to the fallen, you will not find a better place to do so than, Check Inn 99. And if you are just an Australian or Kiwi at heart, join in too. I don’t publish a lot of videos on this blog. Conventional wisdom says, “Don’t.” Sometimes you have to say, the hell with conventional wisdom. The above video was filmed at the 2013 Anzac Day at Check Inn 99. I also recommend the YouTube video of Chris Catto-Smith singing, “And the Band Played Waltzing Mathilda.” This post is out of respect for the fallen of one of the historically great allies of the USA. The fighting men and women of New Zealand and Australia. And to all the fallen of all colors and countries.